Who doesn't get tired of forgetting things every now and then, and it hurts more when you forget a thing you wanted to try. This 'Go Try' app has been designed to keep life exciting and satisfactory everyday. Using this app is no rocket science. All you have to do is sign up and save all the favourite things you have done in your life and may want to experience once again when time permits. This app has a feature named Go Try, where all your favourite things will be kept safe. Check them as many times as you want and also recommend to others. 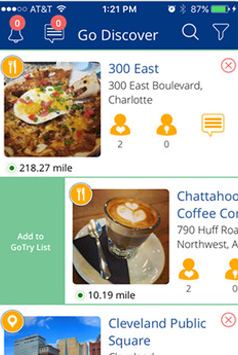 As you sing up, you can also vide Go Try list saved by fellow users and get inspired. Client approached us with a requirement for an app that can help anybody and everybody to try something again in life. In the app, users can save all the favourite things or activities they have done so far only to cherish them for lifetime. 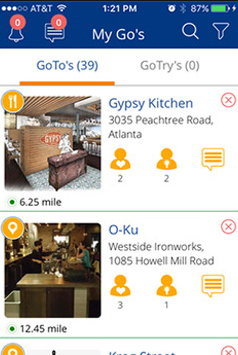 The app, as we were asked of, was to have a feature called Go Try list, for the quick and easy access of users. This Go Try list will enlist everything and which will as well be visible to others. The solution we made the client was exactly how it was expected in the first place. Although developing an app that's supposed to store and secure a massive amount of data on everyday basis was a bit challenging, but the success lies in good planning, smart implementation. Today, Go Try has thousands of users across the borders, storing, securing and managing huge amount of user inputs smooth and without having crashed. 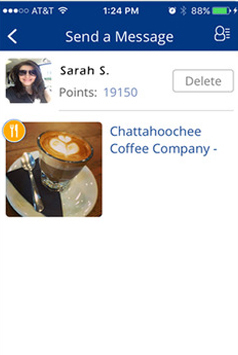 Front-end The front end means the native mobile application that will be used an end-user. Mostly, mobile apps feature interactive user experiences which make the use of an API and back end for data management. I had a very good experience with this company over the past 2 years. From concept through end resul..